Zahan has spent his life searching for winter’s magic moments, where steep mountains, deep snow and quiet wilderness are all part of the experience. 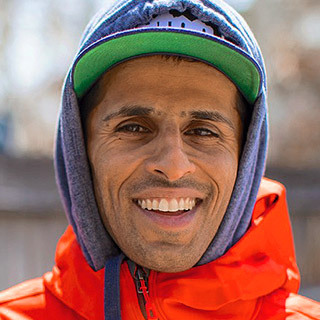 His passion for human-powered ski exploration has taken him around the globe, and his professional guiding career includes work with Exum Mountain Guides and Teton Gravity Research to lead remote first descents and teach freeride athletes high-level avalanche and technical skills. Zahan also owns and operates Samsara Mountain Training, which specializes in skiing and climbing exploration of the world’s greatest alpine playgrounds. As a dedicated climber, Zahan embraces long free routes as readily as hard redpoints and sees the intense “in-the-moment” focus of climbing as a perfect complement to the all-day efforts of big-mountain skiing.